Using email to connect with your existing and prospective customers doesn’t require any hard and fast rules. The process is not cumbersome once you’re focused on what you want to achieve. One of the major advantages of email marketing is that the emails go straight to the inbox, unlike social media pages where you have to fight with the algorithms to show your contents to the desired audience. 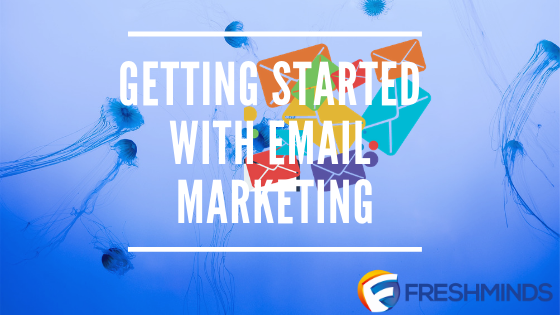 I want to share some tips on getting started with email marketing. This is the most important step. If you get it right here, you’ll definitely be hitting your target. The trendy strategy most times is to get an email list from God-knows-where and start bombarding them with emails. If you get lucky some messages will convert, if you’re unlucky your email address will be marked as spam. Offering valuable resources (free ebook, free event,) in exchange for their email. Building an email list is a gradual process, you have to be deliberate about it. Email service providers like MailChimp, Aweber, GetResponse, InfusionSoft, Constant Contact, have great templates that take the stress off you. They have features that allow you to. Design and send automated email. Develop a landing page to direct visitors, to promote a new product and collect contacts. These service providers provide analytics like open rates, click through rates (CTR), bounce rates. These email service providers charge according to your subscriber base. However, you can install a third-party email plugin on your WordPress site. Sending emails through your WordPress site is far cheaper than using these email service providers. This is the time to add the lists you’ve built to your mailing list. Your mailing list should have at least the firstname and email in for each contact. This will allow you to personalize your email campaigns for e.g Hello Obinna. It is also advisable to group/segment your list according to the audience. For instance, an entrepreneur can decide to send mails according to the interests of subscribers when they filled your signup form. This helps to segment your subscribers and for effective target advertising. Every email marketing campaign should have a clear goal e.g do you want the recipients to register for an event, create brand awareness, download an ebook, visit your website, reminder, advertising a product or service etc. Your goals should guide you in developing the mail, the template of the mail and the audience you intend sending the mail to. The aim of the first sentence is to lead the reader to the second sentence. The aim of the second sentence is to lead the reader to the third sentence and so forth. The point in your mail should be well articulated, concise and straight to the point. Craft your message to harmonize with your campaign objective. Add Call-to-Action (CTA) links. Before you send the mail to the intended recipients, send the mail to your inbox. Put yourself in the shoes of the recipients. Check the font size, correct any typographical error, the font colour. Delete every unproductive word and sentence. Make sure the Call-to-Action (CTA) buttons and links are working. Send your mail and track the open rates, click through rates and bounce rates.